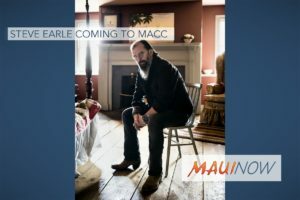 Three-time Grammy Award winner and 11-time Grammy nominee Steve Earle will return to The Maui Arts & Cultural Center (MACC) for a Solo Sessions concert in the McCoy Studio Theater on Saturday, Dec. 29, 2018 at 7:30 p.m. Tickets are now on sale to MACC members and they go on sale to the general public on Saturday, Sept. 29. Three-time GRAMMY Award recipient and 14-time GRAMMY nominee Steve Earle is a cornerstone artist of Americana music. One of the most acclaimed singer-songwriters of his generation, he has released 16 albums and his songs have been recorded by such music legends as Johnny Cash, Emmylou Harris, Carl Perkins, Waylon Jennings, Vince Gill and Joan Baez. longtime social and political activist whose causes have included the abolition of the death penalty and the removal of the Confederate symbol from the Mississippi State flag. 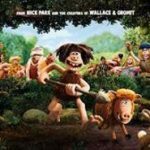 Earle has also become a novelist, a film, TV, and stage actor, playwright, author, record producer, and radio host over the course of his 30+ year career. Earlier this year, he appeared in the off-Broadway play Samara, for which Earle also wrote the score that The New York Times called “exquisitely subliminal.” He is also in the process of writing his memoirs for future publication. Tickets for Solo Sessions: Steve Earle are $30, $45, $65 (plus applicable fees). 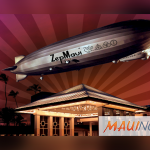 MACC members receive a 10% discount. 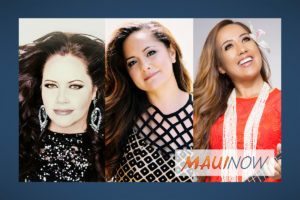 Tickets available at the MACC Box Office, by phone at (808) 242-SHOW and online. The MACC Box Office is open Tuesday through Saturday from 10:00 a.m. to 6:00 p.m. for window and phone sales. Sales via the MACC website are available anytime.